Many people, especially women have a lot of respect towards hitchhiking and couchsurfing. They are simply afraid of it. And I understand. However, if you do it using your common sense and following few basic rules, it can be your life changing experience. 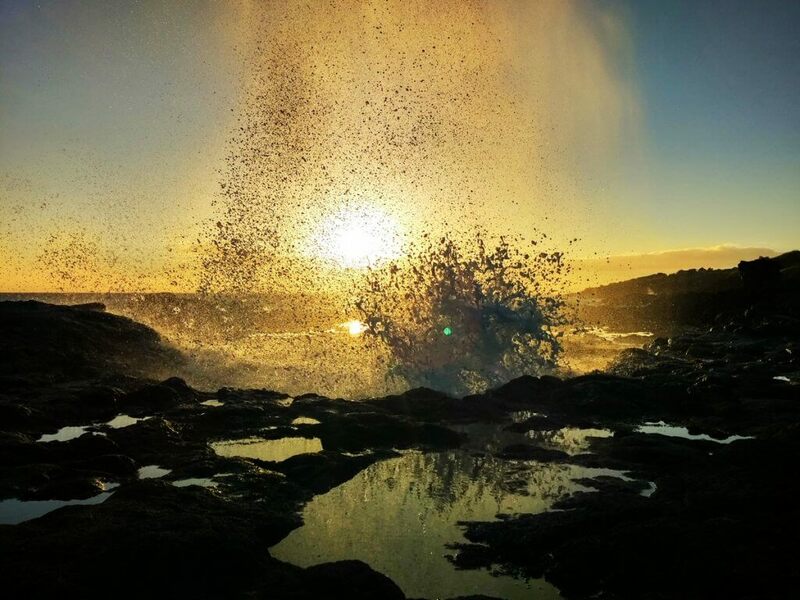 I spent 10 days on the oldest Hawaiian island KAUAI and out of 10 days I spent 7 nights sleeping at places of locals through couchsurfing and 7 days of hitchhiking mainly by myself. And it was awesome! I almost never hitchhike by myself. I have a lot of respect towards getting on a car with stranger who I have never seen before. What if the person in a car is a psychopath? Wants to rob me or kill me? Well, on Kauai it felt differently from the beginning. I asked locals what they think of hitchhiking over there, asked them about safety on the island and almost everyone told me the same. That the island is safe and criminality is minimal. And the vibe of the island was so peaceful so I gave it a try and never regretted it. Thanks to hitchhiking on Kauai I got to meet great human beings taking me to wonderful places such as hike Sugi Grove in Waimea Canyon and spent all day with me. People giving me a ride were sharing their stories, their lifestyle and were helping me without any mean intentions. 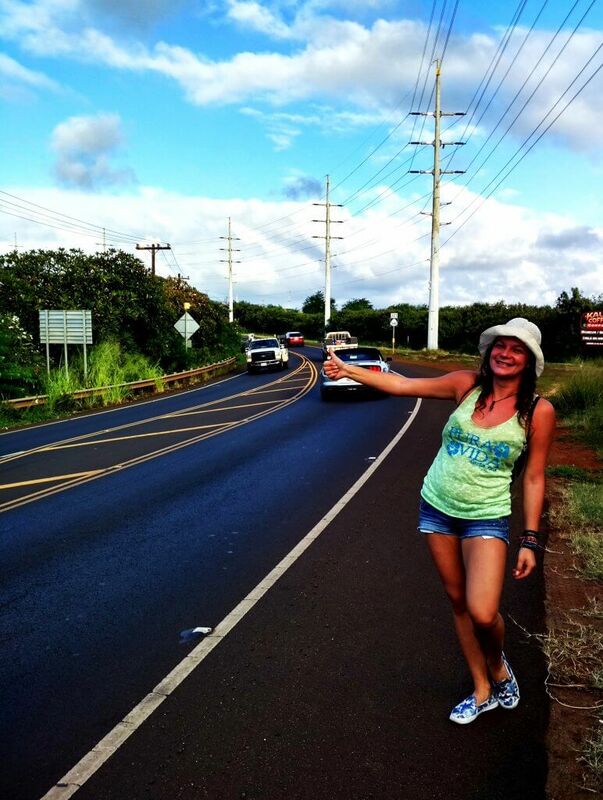 Locals on Kauai showed me their friendliness and willingness to help thanks to hitchhiking. I have been using couchsurfing as the main way of accommodation for the last 7 years and I fell in love with it. Couchsurfing provided me connection with locals in a very special way learning about their lifestyle while living with them almost for free. By almost I mean that I always spent some money inviting my hosts for breakfast, lunch or dinner to show them my gratitude. But I actually never paid for accommodation. 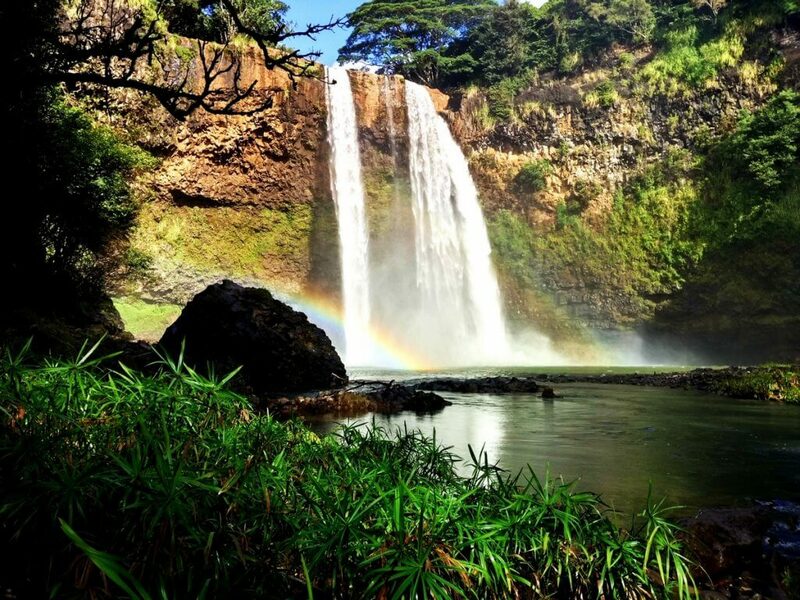 Couchsurfing on Kauai hasn´t disappointed me again. The first five nights I spent with Jackson in Koloa who took me to beautiful places every single day in his free time. He shared with me his stories, his free time. He introduced me to his cute little puppies. And I had great time spending with him and travelling the South of the island. My next couchsurfing experience wasn´t the most positive one as my CS host was not in a mental state to host people without drinking alcohol all day. Therefore, I had to change a host and went to Wailua where I was hosted by amazing local person who helped me a lot at time I needed it. Michael and Filmer took me for Thanksgiving dinner to the house of their friend. They shared with me useful tips and tricks about the island and made me feel very welcomed on their island. BASIC RULES of COUCHSURFING: Always read references of CS hosts and their full profile. Keep in touch with them before coming to their houses. Trust your instincts. Follow their house rules and show them your gratitude by sharing your stories, teaching your culture, cooking for them. If you can´t cook (my case haha), then invite them for lunch or dinner. 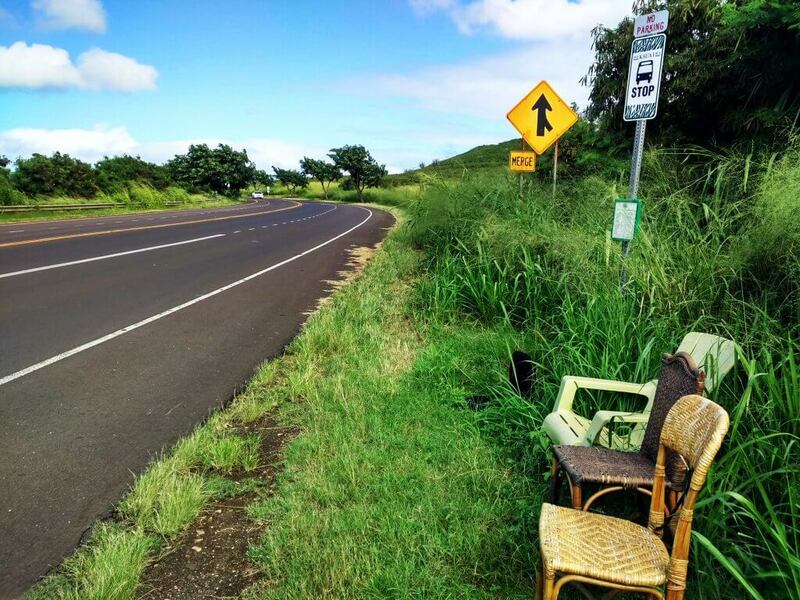 So to sum up, couchsurfing and hitchhiking on Kauai have been a great adventure for me and a great way how to meet locals who were showing me their friendliness and willingness to help others. 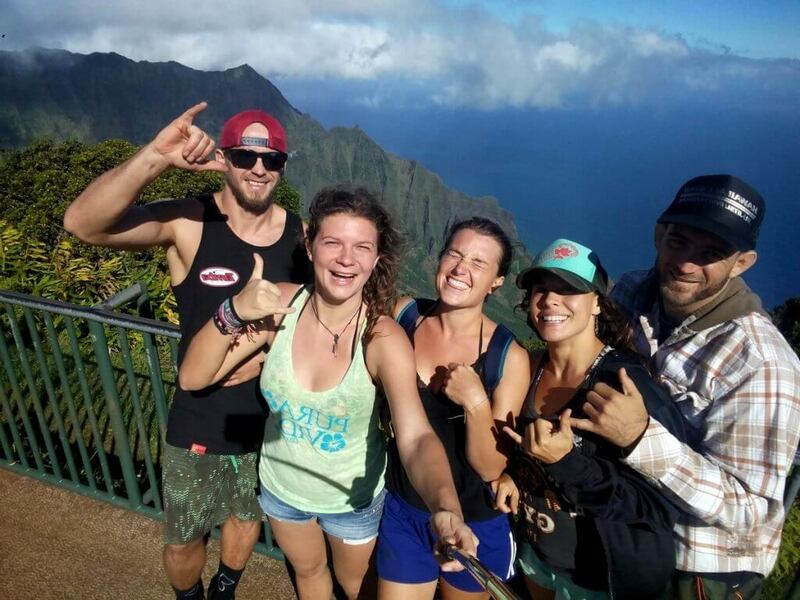 I learned a lot about their way of life and I am very grateful for every moment spent on Kauai. PS: Wanna experience beauty of HULA HULA dance and FIRE SHOW? Click HERE and find out more. Previous PostChristmas while Travelling – Yes or No ?? ?